T here are few musicians alive today that has achieved the level of technical mastery or professional accomplishment as pianist McCoy Tyner. Tyner's life-long love affair with music and his unwavering commitment to the discipline began in his youth, as he became awake to the burgeoning sounds of jazz and R&B in 1950s Philadelphia, where he was raised. A youth of effervescent talent, Tyner was enlisted by one of the greatest jazz minds of all time to join his John Coltrane Quartet. Tyner has lived up to the legacy of his young talent, having, to date, played on over 80 records in his career. 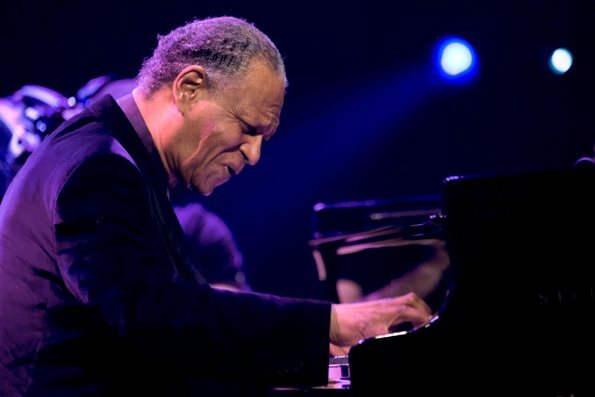 The recipient of four Grammy awards and countless other high accolades for his unparalleled musicianship, Tyner has worked to develop a distinctive and ever-changing sound, reflecting the varied musical landscape of his background and current developments. Tyner still maintains a full schedule of live performances, ranging in the line-up from solo concerts to quartet to big band format, ever seeking new ways to portray his boundlessly creative spirit.